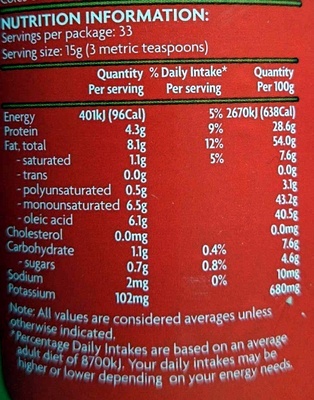 Ingredients: High-Oleic Peanuts** (91% minimum). 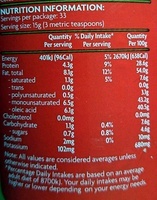 Vegetable Oil (Canola and/or Peanut), Stabiliser (471 vegetable origin). **Oleic Acid is a monounsaturated fat. 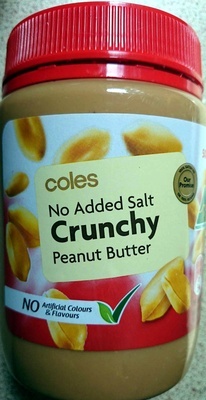 ALLERGY ADVICE: CONTAINS PEANUTS. - Oleic acid (18:1 n-9) 40.5 g 6.08 g ? ? ? ? ? ? ? ? ? ? Product added on October 23, 2015 at 2:06:59 AM CEST by foodorigins. Last edit of product page on October 23, 2015 at 4:44:14 AM CEST by foodorigins.